Is Your Resume Style Doing You Any Favours? Resume Type. When you write your resume, you are forced to make a lot of different decisions. What type of resume should you use? Should you include an objective? Should you include a summary of qualifications? It all depends on you, the employer, and the type of position you are targeting. However, most employers prefer applicants who are clear about how their skills relate to the job and who are transparent about where and when they attained those skills. If you have any doubts, ask someone in your network to review your resume and give you feedback. Page layout. When it comes to resumes, appearance counts. Put yourself in the position of a hiring manager who has to screen hundreds of resumes. Doesn’t it make sense that they would select the ones that are easiest on the eye? Choose a layout that is professional, attractive and make sure you leave enough white space. When making decisions about fonts, spacing, and headings, always select the option that will make your resume easier to read. Content. Content is the meat and potatoes of your resume so you need to be strategic about the information that you present to the employer. Don’t think of your resume as a summary of your skills and experience. Instead, view it as your key marketing document. Your resume is your answer to the question, ‘Why should I hire you?’ It should include quantifiable accomplishments that clearly demonstrate your skills. It should also include relevant keywords which will help you pass through both human and automated resume screeners. Customization. Have you ever sent out the same resume to twenty different employers? What was the response rate? Probably not very good. When you send your resume out like that, employers will respond to it in the same way as you respond to the spam that you get in your email inbox, because that’s really what it is. If you are genuinely interested in a job, then demonstrate that enthusiasm to the employer by taking the time to customize your resume. Eliminate all of the information that is unrelated to the position and draw a clear link between your experience and the requirements of the job. It takes a lot longer to customize your resume, but you will get a much better response from the employer. Often it’s the little things that make the difference. 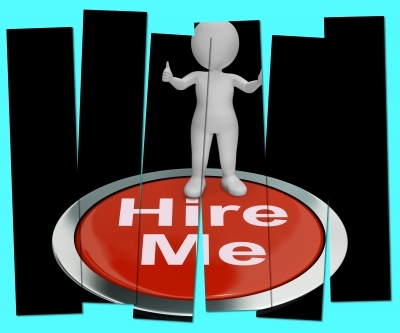 You might make a small change to the format of your resume and suddenly find that your phone is ringing off the hook. To find a job, you might need to try out a few different strategies. If one isn’t working, be ready to scrap it and try a different approach.